Those who manage to battle their way to the top will also receive this new skill: ATK B VIII Max & GA 2! Deals 2.6 times more damage, and uses only 2 special attack gauges. Has a 100% trigger rate. 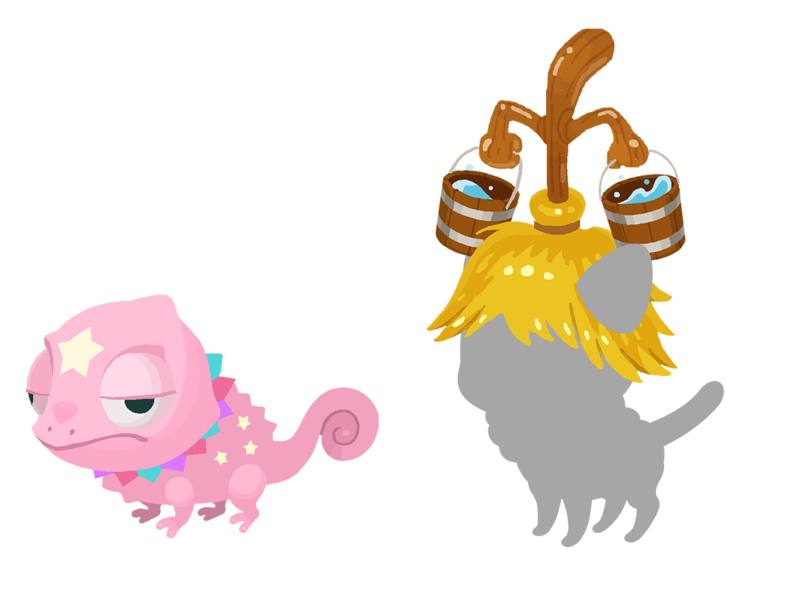 Collect Lux during the campaign period above to earn the new Pink Chameleostar and Magic Broom Ornament Spirit Parts! The Monthly Gem Quests for November are here! ★ Fight alongside your party to defeat the Hocus Pocus in this Raid Boss Event! Defeat the Hocus Pocus Raid Boss with your party members to earn Raid Coins, which you can use to get fabulous rewards, including Magic Broom, Magic Mirror, Chip, and Dale Medals ! The Raid Board for this Raid Event will be available until Nov. 12, 2018 11:59 a.m. (PT) / Nov. 12, 2018 19:59 (UTC). Upon successful defeat of the Hocus Pocus, the raid boss level will increase by 1. NOTE: When the Hocus Pocus appears, you will not be able to proceed in the latest main quest. NOTE: Daylight saving time ends on Nov. 4, 2018 2:00 a.m. (PT) / 10:00 (UTC). On Saturday and Sunday, the Raid Boss will be available all day, until the event ends on Nov. 11, 2018 11:59 p.m. (PT) / Nov. 12, 2018 7:59 (UTC)! Magic Broom Ornament and Booster Set Union Cross! 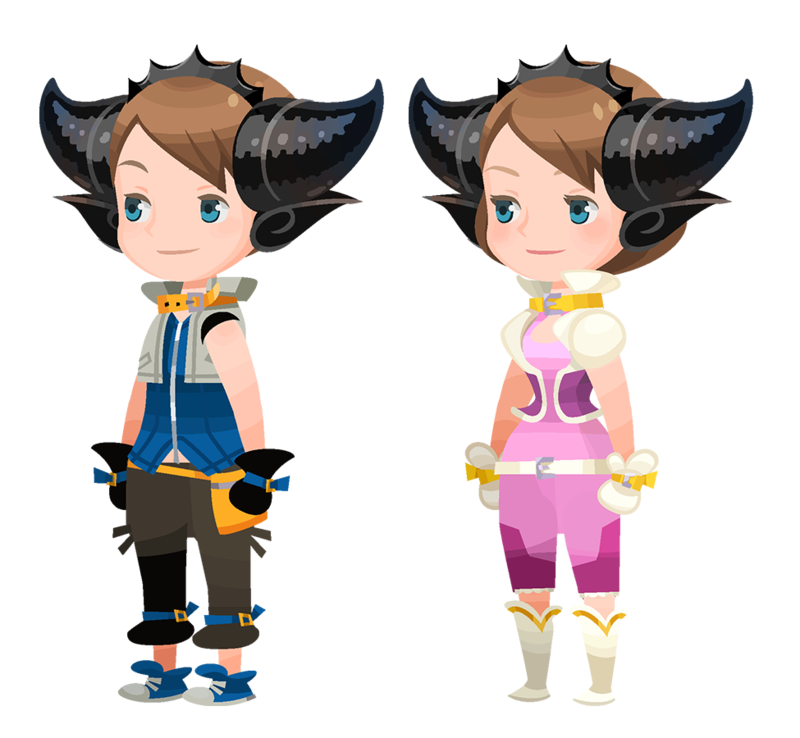 ★ Magic Broom Ornament Avatar Parts and Boosters have arrived in Union Cross! This time there are a total of 7 Cross Boards, 5 of which will be unlocked from the start (Magic Broom Set #2 and Magic Mirror Set #2 will unlock sequentially as follows below). Complete them to earn the Magic Broom Ornament Avatar Parts and a Booster Set, plus Jewels, and more! Magic Broom Ornament (Male) Chat Phrase: Splish splash! Magic Broom Ornament (Female) Chat Phrase: Cleaning house! You can obtain a Booster Set from this event, which will temporarily strengthen your respective Power, Speed, and Magic Medals! *The Booster Set obtained from this event will expire on Nov. 30, 2018 at 11:59 p.m. (PT) / Dec. 1, 2018 7:59 (UTC). The Limited Gauge Challenge is here! Clear these quests and complete objectives to earn rewards! ・Take on a total of 10 stages with a limited ability gauge! ・Furthermore, Special Attacks with 0 gauge cost cannot be used! ・Complete objectives to earn rewards including Magic Mirror and EXP Medals! Plan out a strategy to overcome the limited gauges and reap the rewards!